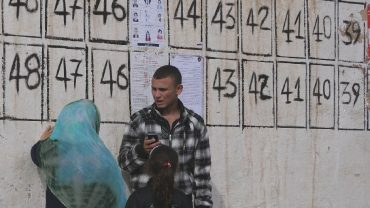 How can information and communication technologies support social cohesion after a revolution? Technology played a key role in the 2010-11 Tunisian Revolution, enabling otherwise disparate communities to express their frustrations as a powerful collective. But while information and communication technologies (ICTs) demonstrated their ability to topple a repressive government, how they could be deployed in building a responsible one was less clear. Beyond enabling online collaboration, could ICTs also be harnessed to foster broader social cohesion? Working with infoDev, Reboot led a countrywide investigation to understand how international donors should structure and schedule their ICT investments in Tunisia to support the country’s forward trajectory. Charting the use of ICTs by citizens, civil society, the private sector, and government stakeholders prior to and during the revolution, we identified openings to capitalize on technology’s ability to improve governance, expand economic opportunity, and, ultimately, encourage social cohesion. Our findings and recommendations were published as part of infoDev’s “ICTs for Post-Conflict Reconstruction” series, which formed the foundation of the World Bank’s ICT investment strategy in post-conflict nations. 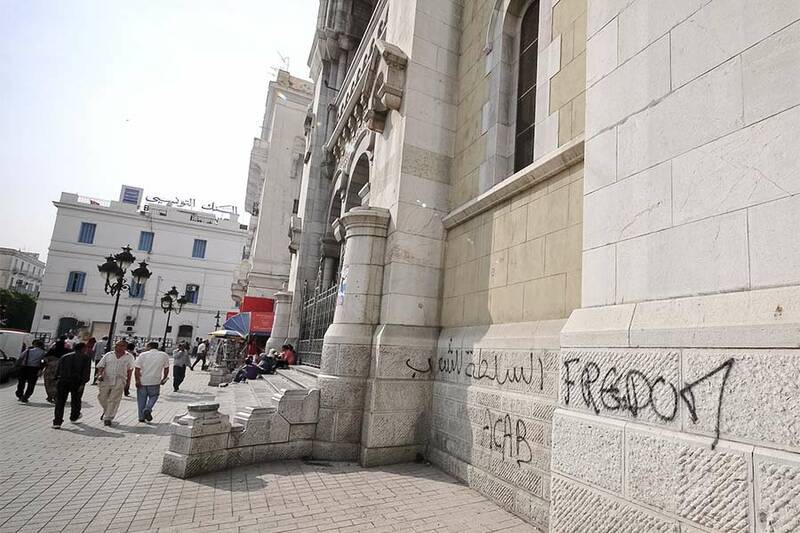 In January 2011, weeks of popular protest led to the ouster of President Zine el-Abidine Ben Ali and the formation of the country’s first representative government in over three decades. New technologies played a critical role in these landmark events, enabling otherwise disparate communities to express their frustrations as a powerful collective. ICTs helped people gain a vivid awareness of unequal economic opportunities, uneven social structures, and non-transparent institutions. 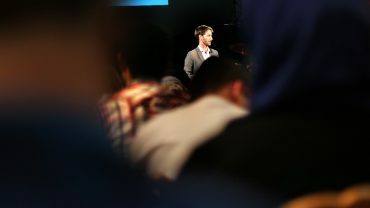 A vibrant community of activists, especially those organizing online, worked to amplify the voices of regular people in the development of a new social contract. Given the role of regional disparities in inciting the revolution, we designed our investigation for inclusivity. We traveled widely throughout Tunisia, with an intentional focus on the interior, since resources and power have typically been concentrated along the country’s coastal regions. 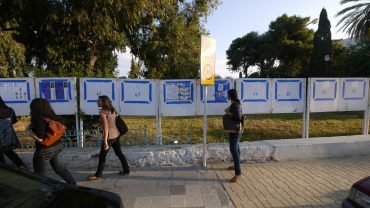 This approach sought to provide more democratic responses to society-wide questions and articulate a broadly representative picture of what Tunisians hope their country will become. Through a series of countrywide community consultations, ethnographic interviews, and observation exercises, we explored the needs, behaviors, and aspirations of people across all levels of civil society. We spoke with over 130 respondents, including government officials, out-of-work students, hospital workers, farmers, police, army officials—each had a voice in shaping our recommendations. This research shed light on how different citizens viewed their lives, limitations, and opportunities in the wake of revolution. We examined the potential for ICTs to enable and drive progress in post-revolution Tunisia, recognizing the opportunities and challenges posed by the political economy and social dynamics of the time. We produced a series of recommendations on how ICTs could help improve governance, development, and social cohesion. 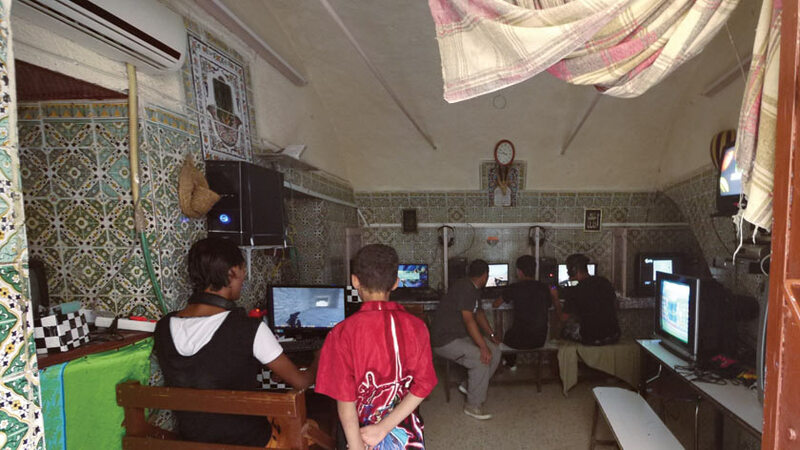 Across Tunisia, we found significant optimism about the inclusive potential of technology to give citizens a voice and the skills to improve their livelihoods. We identified four thematic areas in particular that presented timely opportunities for international donors to support Tunisia’s social cohesion after the revolution: removing key constraints to enterprises to develop an entrepreneurial economy; improving the quality of instruction and infrastructure in the higher education system to support Tunisia’s global competitiveness; encouraging the development of accountable processes in governing institutions; and supporting the evolution of a robust civil society, especially by maximizing the potential of online connectivity. 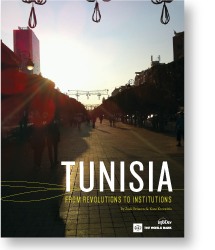 Our findings and recommendations were published by infoDev in Tunisia: From Revolutions to Institutions, which was launched at the ICT4D 2012 conference. The publication has been featured by the UNDP, the UN World Summit on the Information Society, A Better World By Design, TEDxCarthage, and in infoDev’s “ICTs for Post-Conflict Reconstruction” series. This series formed the foundation of the World Bank’s approach to ICT investments in post-conflict-affected regions. Our contribution informed several bilateral dialogues between the Tunisian government and other states, as well as the World Bank’s investment strategy in post-revolution Tunisia.